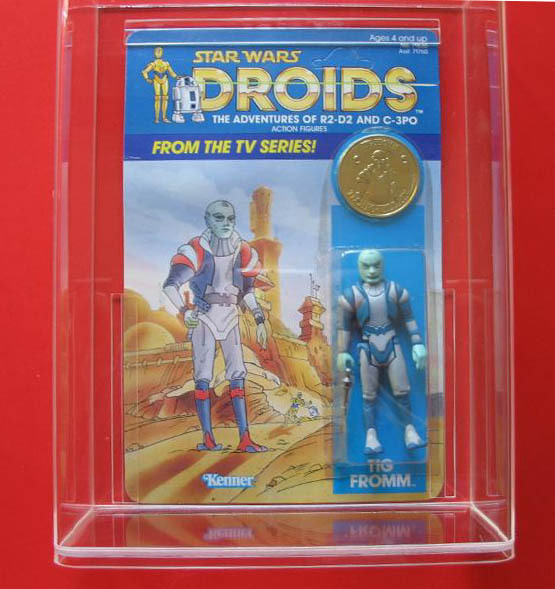 The Tig Fromm carded sample shown above likely served as a display sample for an industry show, like Toy Fair, or an internal Kenner presentation. 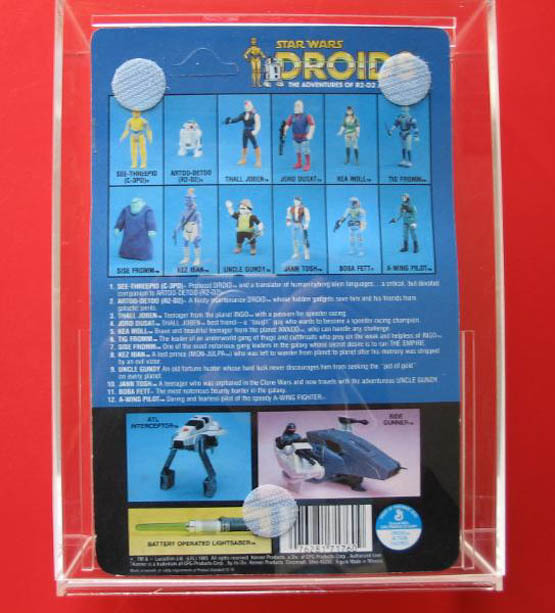 It originated from a find of Droids and Ewoks prototypes that was uncovered years ago by a group of dilligent collectors. Although not easily recognizable from the pictures, the carded sample exhibits a number of interesting characteristic. The sample is comprised of a hand-cut and hand-applied bubble attached via double sided tape to a Tig Fromm proof card. A rear view of the blister card's rear face reveals the presence of circular velcro pieces. These obviously served as an attachment method while the carded sample was on display.